“I study in a premier medical college in India. At the undergraduate level there is no exposure to research. 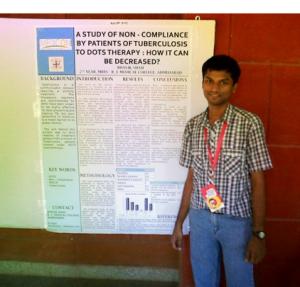 In my second year, I applied for the Short Term Studentship program (STS) of the Indian Council of Medical Research. My project was not selected, but I was lucky to be selected to present it at ‘Medicon’. Medicon is an annual conference for undergrad medical students. It was in this event, I learned how to search medical literature from Mrs. Vasumathi Sriganesh. She delivered a lecture on this topic, at a workshop on Evidence Based Medicine. I took a lot of notes. I realized that I had hardly known anything about this!